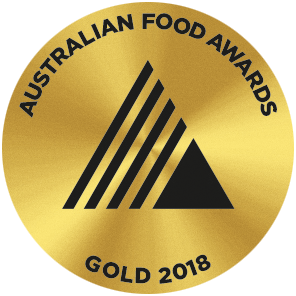 IN OUR STATE OF THE ART SMOKEHOUSE, WE SMOKE MEATS NATURALLY TO SHOWCASE OUR AWARD WINNING PRODUCE. WE BELIEVE IN MAKING THE BEST PRODUCTS IN THE MOST NATURAL WAY. Our charcuterie is handmade to our own recipes, with freshly ground herbs and spices and no artificial colours or flavours. Our brine is made with Lake Deborah salt, local honey and has been created to respect the meat’s flavour, creating a balanced taste. We use a traditional smoking technique with Beech wood chips. This imparts a subtle, sweet, smokey flavour and aroma. Free range pork – Cured with the Farm House brine, then smoked with Beech wood. Free range pork loin – Cured with Farm House brine, then double smoked with Beech wood. Free range pork belly – Cured with Farm House brine, then double smoked with Beech wood. WA beef – Cured with Farmhouse brine, crumbed with the Farm House pastrami crust (pepper, garlic, capsicum & coriander). Then smoked and cooked in our Smoke House. Lightly cured, then smoked and cooked. It has a soft texture, with a nice sweet flavour, balanced by an enjoyable smokiness. Cooked & smoked pork Chorizo, flavoured with Spanish paprika, garlic, cayenne, pepper and chilli. – 2 Options (can also be fresh). A North African inspired, cooked & smoked lamb sausage, flavoured with paprika, garlic, cayenne, pepper and chilli. Our sausages are made with our own recipes adapted over many years. Freshly prepared herbs and spices and no artificial colours or flavours make these a unique product. 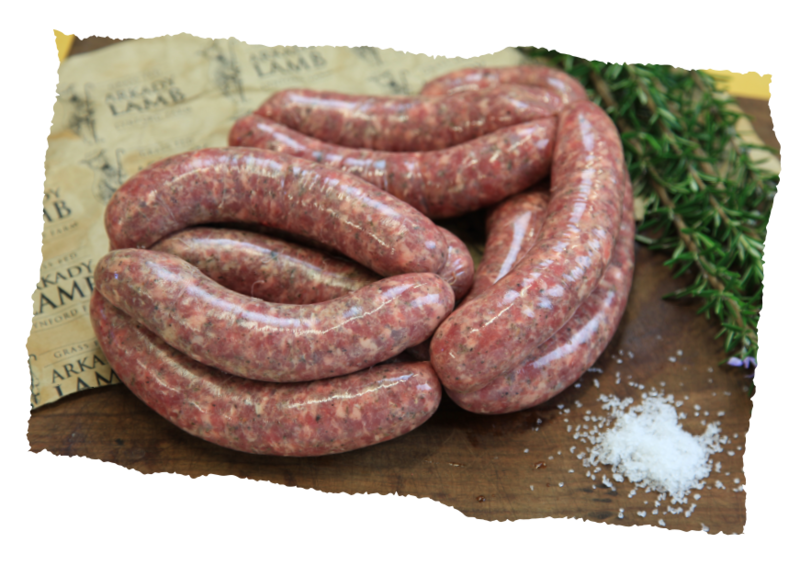 A fresh lamb sausage flavoured with rosemary, mint, sage, pepper and garlic. A fresh lamb sausage flavoured with cardamom, clove, cinnamon, coriander, cumin, nutmeg, pepper and turmeric. A fresh pork sausage flavoured with aniseed, fennel, pepper, garlic, parsley and cayenne. A fresh pork sausage flavoured with coriander seed, pepper, sage, nutmeg, clove and cayenne. A whole muscle beef sausage with a delicious blend of fresh jalapenos and cheddar cheese smoked in house.